An epidemic of love triangles is sweeping through Chastain Park Memorial Hospital. When The Resident returns in January, Devon won’t be the only doctor caught between two love interests: Mina will have to contend with matters of the heart, too. 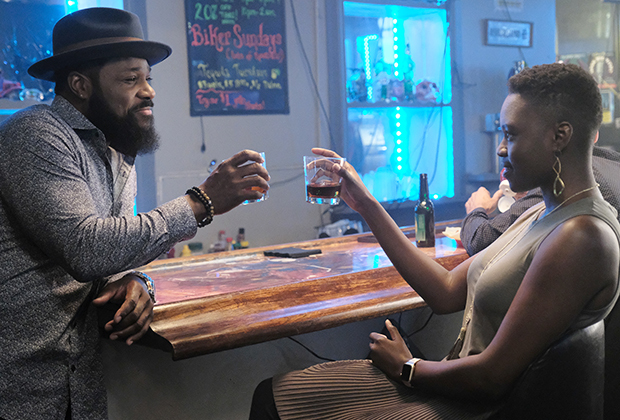 Although the gifted surgeon doesn’t know it yet, her mentor, Dr. AJ Austin, is in love with her — and the Fox drama won’t be ignoring that fact, despite Mina’s ongoing involvement with Micah Stevens. And Mina’s interest in Micah isn’t the only hurdle for AJ to clear. He also has a personal rule that forbids him from getting involved with someone he is mentoring — and that rule will leave AJ highly conflicted in forthcoming episodes, according to Harthan. In short? If you’re hoping to see this twosome give it a go, you’ll have to be patient: Harthan says the Mina/AJ arc will “frustrate the audience, hopefully in a good way” when the show’s sophomore year resumes. The Resident returns Monday, Jan. 14, at 8/7c on Fox.